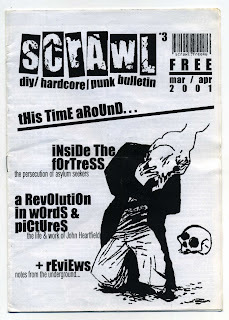 Another issue of Scrawl, a free newsletter/zine supporting the DIY scene. In this issue many zines and music reviews, writings about anti-racism and refugees + a cool article about John Heartfield! Short zine yet very interesting.